CD Comics have added their latest titles on the Barnes & Noble Nook and also to Smashwords library! CDComics have 12 titles on Smashwords that can be bought direct from their website in the US, UK and Worldwide. The titles include a three part Pulp Fiction narrative called Manhaattan 1930, featuring Nikola Tesla and Aleister Crowley, three two part Surreal Murder Mysteries, Meadowhell, Spring Heeled Jack and Football Crazy, plus the first issues of Robin Hood 2020, Carnacki & Hannay and War Nurse, an political action thriller, a mass alien abduction mystery and a tongue in cheek homage to Golden Age comics. 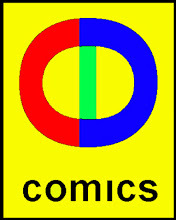 CDComics two latest titles have now arrived on Nook in the US, UK and Worldwide. These are full colour comic books, written and drawn to be read on Smartphones, Tablets, Desktop or Android devices. Robin Hood 2020: There is no Conspiracy and Carnacki & Hannay: Eyam the Plague Village UFO Mystery are the two new releases. One is a action packed political thriller, while the other is a tale of mass alien abduction and both are priced around $1.99/£1.50 or Euro equivalent, but prices are slightly variable across the eBook stockist.